Add an original touch to your everyday outfit with this peasant blouse. Featuring 3/4 sleeves slightly puffy, an split neck and pintucks at front, it's perfect for the office and beyond. Pair it with cropped pants and flats for a modern, trendy look. I would buy it again. I love the cut and the color. 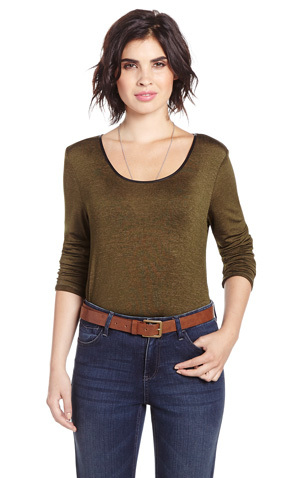 Soft fabric, flattering cut, I love that Reitmans is offering more tops in Petite now! Love that this top can be dressed up or down.